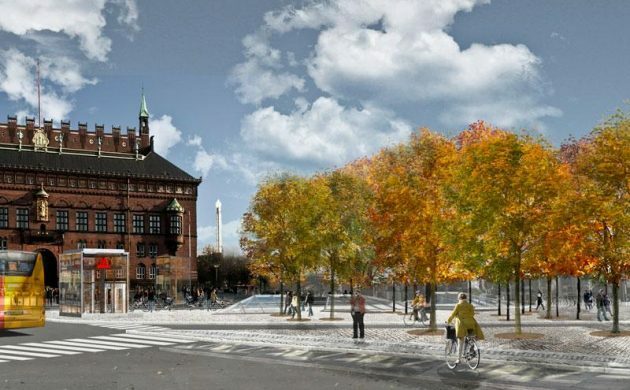 The technical and environmental committee at Copenhagen Municipality has approved the final plan for the new-look City Hall Square, Rådhuspladsen. 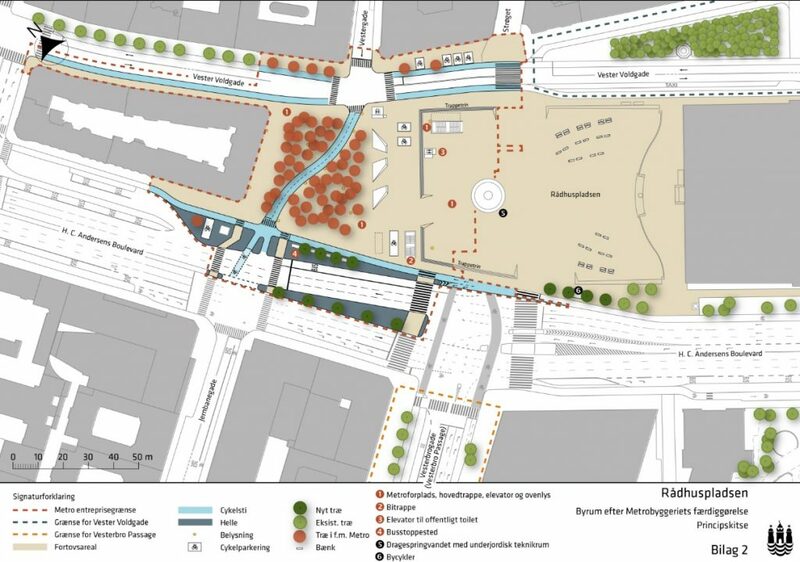 The future Rådhuspladsen will include the under-construction Metro station, loads of new trees and better conditions for cyclists and pedestrians. Moreover, the iconic dragon water fountain, Dragespringvandet, will have a more central position in the new square and will be reunited with the 14-metre wide outer basin that was originally added to it in 1908, but which has since been removed. The new and improved Rådhuspladsen will be unveiled to the public when the massive temporary green walls of the Metro construction is removed following completion in 2019. The congested bus area across from Politikens Hus will be moved out to HC Andersens Boulevard and replaced by a two-way bicycle path and green area containing about 60 trees. Moreover, some 10-16 trees will be planted in other parts of the square. And birch pollen sufferers can rest easy, because the trees to be planted are the Norwegian maple, Japanese rowan, red chestnut, robinia and metasequoia. See a more comprehensive illustration of the plans below (click to enlarge).